Acknowledgement of Risk, Identification of Released Parties and Assumption of Risk. I recognize that working with animals places me at physical risk, and I agree to assume that risk. I also acknowledge that if I participate in any animal rescue activity, I choose to do so voluntarily, knowing that this activity could be dangerous. 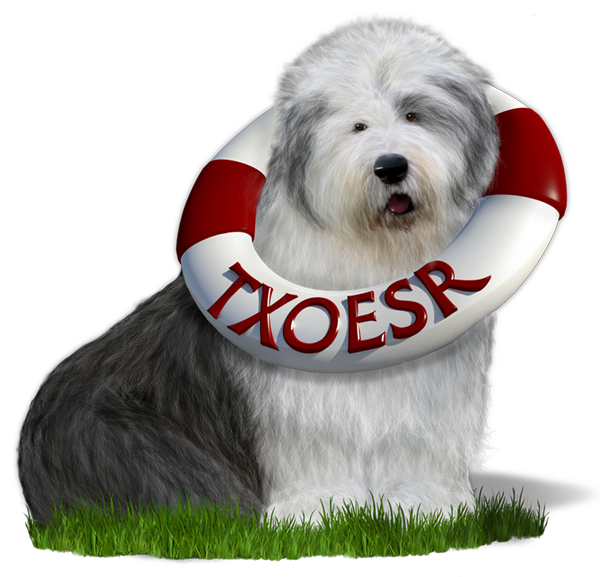 Texas Old English Sheepdog Rescue and its respective entities, insurers, employees, advisors and/or agents, staff members, instructors and volunteers, while acting on behalf of Texas Old English Sheepdog Rescue, are collectively referred to as the “Released Parties”. I understand it is impossible to guarantee the safety of any one who participates in any event or is on the grounds for any purpose. I UNDERSTAND THAT WHEN I AM IN ANY LOCATION HERE ANIMAL-RELATED ACTIVITIES ARE CONDUCTED OR ANIMALS AND/OR PROPERTY, VEHICLES, MACHINERY OR EQUIPMENT ARE USED, I ASSUME ALL RISK AND LEGAL RESPONSIBILITY FOR LOSS OR DAMAGE TO PROPERTY, PHYSICAL INJURY, INCLUDING DEATH, ILLNESS OR PERMANENT INJURY AND OR DISFIGUREMENT. I acknowledge that I am solely responsible for determining whether I am physically fit and/or skilled enough to engage in any particular activity with Texas Old English Sheepdog, and whether the scope of my interaction with the animal I am attending to is appropriate for my fitness and/or skill level. I ACKNOWLEDGE THAT NONE OF THE RELEASED PARTIES HAVE ANY KNOWLEDGE OF OR OBLIGATION TO INVESTIGATE THE LEVEL OF MY TRAINING OR THE TRAINING OR SUITABILITY OF ANY ANIMAL THAT I ATTEND TO WITHIN THE FACILITIES OR UPON THE GROUNDS THAT TEXAS OLD ENGLISH SHEEPDOG RESCUE LEASES OR OWNS, ALONG WITH ANY LOCATION OF ANY TEXAS OLD ENGLISH SHEEPDOG RESCUE EVENT THAT I ATTEND. Agreement to Follow Instructions, Assumption of Responsibility, Waiver of Liability and Release. ANY WAY RESULTING FROM BEING UPON, THE USE OF EQUIPMENT, PROGRAM, FUNCTION OR EVENT, I ASSUME ALL RISKS AS SET FORTH IN THIS AGREEMENT. I will not hereafter make any claim or demand against, initiate, file or bring any legal lawsuit, action or proceeding against any of the Released Parties, for or on account of, arising out of, or in any way connected with any injury or loss or for any claim made by others for any injury or loss of any nature arising out of or in any way resulting relating to Texas Old English Sheepdog Rescue. During my volunteer time with Texas Old English Sheepdog Rescue, I understand my photo may be taken at various events. By signing, below, I also hereby grant Texas Old English Sheepdog Rescue permission to use my likeness in photograph(s) and/or video(s) in any and all of its publications or on the World Wide Web, whether now known or hereafter existing. I will make no monetary or other claim against Texas Old English Sheepdog Rescue for the use of the photograph(s) and/or video(s). respective heirs, administrators, representatives and assigns. This Agreement is to be construed in accordance with the laws of the State of Texas. If any provision of this Agreement is found to be invalid or illegal by a court of competent jurisdiction, I agree the remaining provisions shall be construed as if the affected provision had not been included in order to effectuate the intent of the parties. BEFORE SIGNING THIS FORM, I ACKNOWLEDGE THAT I HAVE READ AND FULLY UNDERSTAND ALL OF THE INFORMATION IN IT. I ACKNOWLEDGE THAT I DO NOT NEED ANY FURTHER EXPLANATION OF ITS CONTENTS AND WAIVE ANY FURTHER EXPLANATION. I HAVE VOLUNTARILY AGREED TO ITS TERMS AND PROVISIONS AND I AGREE THAT NO OTHER STATEMENTS, REPRESENTATIONS OR INDUCEMENTS APART FROM WHAT IS STATED IN THIS AGREEMENT HAVE BEEN MADE TO ME TO OBTAIN MY CONSENT AND MY SIGNATURE TO IT. By Completing this form you agree to the terms of the Waiver.